CPF Life has undergone another change. Here is what I did. I key in $161,000 as the CPF-RA for a next age 55 year old male into the CPF Life calculator. Below is the screenshot. For simplicity, I assume no L-Bonus. Next, I assume the individual delay his choice until 65. Hence, I key in 161000 x 1.0410 = $238,320. This assumes the CPF-RA earns 4% per annum of interest. In actual fact, the interest may be higher (see below). Because the actual interest is higher and I assumed it is lower, I expect the result to be slightly worst off compared to the first scenario. Below is the screenshot. Looking at the figures, differences in the figures are insignificant after accounting for the understated interest for the second scenario. However, what is surprising is the very large differences in bequest for Standard plan. The Standard Plan’s bequest at age 65 for the first scenario is $194,168 ­- $199,504 while the bequest for the second scenario is $237,003 - $237,078. The conclusion is that you should NOT select a CPF Life plan when you turn 55. Let the money in the CPF-RA earn interest. You can select the CPF Life plan when you wish to start receiving the payout The minimum payout age is 65. For high networth individual, you can top-up the CPF-RA to the maximum allowed Enhanced Retirement Sum (currently $241,500). 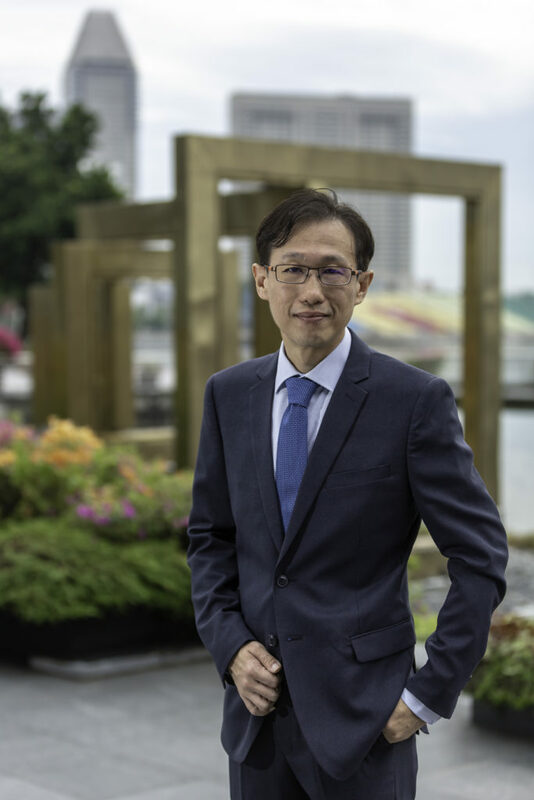 I do not advice the average joe to top-up their CPF to the maximum Enhanced Retirement Sum because you never know what kind of changes will there be for CPF. Previously I mentioned that the CPF-RA may earn more than 4%. Actually, it is quite complicated. CPF-RA indirectly earns more than 4%. The calculation for the additional interest is so complicated that nobody really understand. But I found a nice infographic on CPF Board’s facebook which explains 51% of how the extra interest is calculated (Source: Facebook). It’s better to delay if you intend to go for Standard plan. The weird thing is that it becomes worse for Basic plan if you delay selection till 65yo. So it appears if you have already decided having bequest for your descendants is important and want to go with Basic plan, then choosing at 55yo seems better than delaying till 65yo. What’s also interesting is that CPF appears to have tweaked the payout differences between Standard and Basic since 2014. At that time in 2014, Standard only pays very slightly more than Basic. Now the difference is bigger — from ~4% difference to now ~10% difference. Good observation that the Standard Plan’s payout is significantly higher (10%) than compared to 4% in the past. This shows that CPF rules is ever changing. For CPF members below 55, they can only top up their SA to the prevailing Full Retirement Sum. Only folks above 55 can top up their RA to the Enhanced Retirement Sum. The payout eligibility age will be fixed once a CPF member reaches 55. Hence, if the average joe top-up their CPF to the maximum Enhanced Retirement Sum, I do not think there will be any drastic change once the payout eligibility age has fixed. Just sharing my two cents’ worth. Sorry for my ignorance, but from cpf website, the rule now is that you will be invited to select the plan you prefer ONLY when you you reach age mid 64. And you can choose to start from 65 till 70. So what’s the point of analysis comparing whether it’s better to choose plan at age 55 or 65? The analysis should be the differences between plans from age 65 to 70. Correct? It is possible to select the CPF Plan as early as 55. That’s why it is possible to generate a quote at 55. With respect, I disagree with you. Using the same calculator, I am able to similarly generate a quote for someone age 52, 53, etc but these people surely can’t select a plan now. It is erroneous to equate the resultant age from your entries in the date of birth field in the calculator as the age of selecting the plan preferred. Anyway I will update further when I get a written reply from cpf in 3 working days. According to CPF Act, the scheme applies to citizens/PRs turning 55 after 1 Jan 2013 (and also having enough CPF monies). 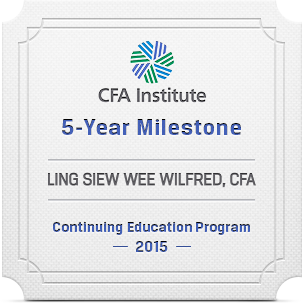 So legally speaking, you can approach CPF to select a CPF Life plan when you hit 55. In fact the Act allows discretion for CPF to allow a *younger* person to join this lifelong income scheme. Of course, nobody will voluntarily go to CPF to choose a CPF Life plan on their 55th birthday (except to withdraw excess CPF monies!). People will simply wait until 64.5 (or maybe 66.5 in future) to receive letter from CPF. In their duties of administering the law, govt bodies prescribe specific rules, procedures, timelines etc and back that up with specific IT system and processes which applies equally to everybody. The Act certainly gives the dept powers to do so while carrying out its duties. So the assertion that any qualifier under the law can “legally” barge in and compel a govt dept to throw out the windows all established systems and procedures because of his perceived “entitlement” under the law is highly doubtful and sounds more like coffeshop interpretation of the Act. Then again, we have digressed. Looking at the title of this article again, it really is pointless. More so when “nobody will voluntarily go to cpf to choose a cpf life plan on their 55th birthday” entitlement or otherwise. When reading any articles, it is important to read it in the context when the article was actually written. Look at the date which the article was written. CPF rules and procedures changes almost every year, my friend. So by that, I guess you admit it was outdated and does not apply in today’s context anymore. And yet, when sought to clarify a couple of days ago, you STILL firmly replied otherwise, resulting in further confusion and exchanges. Also, even in pre 2016 context, the data used for comparison is still doubtful due to possible wrong interpretation of the “date of birth” in the calculator. Curiously also, 3rd para of this article seems to suggest it was written post regulatory changes, not pre. Anyway, these exchanges are going down the wrong route already. It has become who win who loose in the argument instead of being accurate, factual and professional to benefit readers/potential cliens. It is very unfortunate as I always find your website educational. Goodbye and everybody has a great CNY! Acts are created not for coffeeshop talk. When it says that CPF Life is applicable for those reaching 55 (among other qualifiers), it means what it says. Note that CPF Act specifically states the qualifying age of 55 for the annuity. However it doesn’t explicitly state the withdrawal age (the Act calls it “Relevant Age”) …. to allow govt to modify the withdrawal age. It was 60 not too long ago … today it’s 65 …. next time it will have to increase due to increased longevity. CPF’s processes, systems & computers have been & are still programmed for starting CPF Life at 55. Just that for operational ease of managing people’s expectations & mental states, govt allows the specific annuity plan selection to be delayed to just before the earliest withdrawal age. BTW did you bother to re-run the CPF Life calculator again? Using the same parameters, 55 versus 65 etc, the payout figures are now quite different — worse if select at 55 …. much better if select at 65. CPF has tweaked the numbers so that for both Standard & Basic plans, it is now much better to wait until 65 to select your plans. Has the life expectancy of Singaporeans dropped drastically in the last 2 years to warrant such (relatively) large change in payout amounts?? No. Hence it was a conscious tweak to cater to the operational buy-in of Singaporeans. Anyway it will be good learning for all if you can post the reply from CPF. I just confirmed with CPFB that they only allow selection of plan from 64.5 till 70 (tie-in with payout starting age). Even though technically the law states that you’re in the annuity from 55 onwards, but the actual implementation & operational specifics can be decided by CPFB. Which again highlights the political risk of CPF funds — rules are always changing. Coz I remember accompanying an elder relative to CPF branch in early 2016 & the counter staff informed that my relative could still select the plan (he just turned 55 then). Maybe that was the transition period. My relative decided to leave it in RA first as he felt it was more “transparent”. Anyway, CPFB has already tweaked the plans so that the payouts are larger the later you select your plan. So even if they still allow selection at 55, it doesn’t make sense as the payouts will be less. They are encouraging more people to delay payout age till 70 with larger payouts.